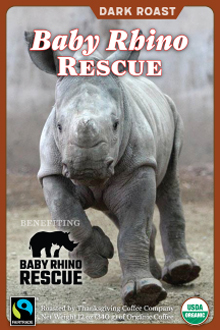 Join the Baby Rhino Rescue Coffee Club to receive two packages of coffee each month, and the their organization will greatly benefit from your continuous support! Baby Rhino Rescue’s mission is to provide physical and emotional support to the babies left behind in the wake of rampant rhino poaching in Africa. Each of these orphaned rhinos should have a safe future in the wild, and Baby Rhino Rescue is working hard to make sure that they are given a future. 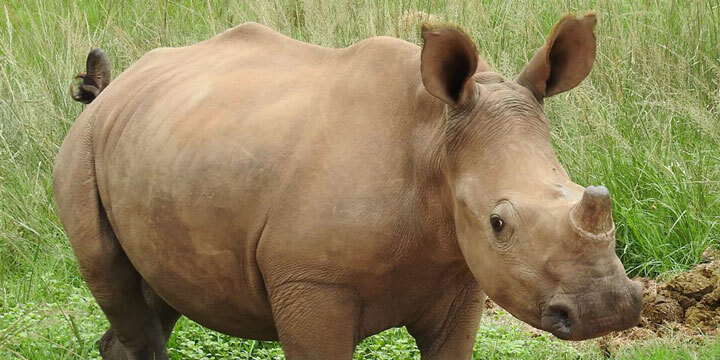 We can save rhinos from extinction. 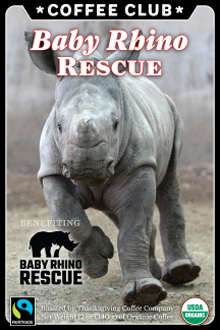 We'll send a box containing two 12-ounce bags of the Baby Rhino Rescue coffee of your choice to your doorstep every month. We'll bill your card monthly, and you can cancel or postpone delivery anytime by giving us a call. Just choose your preferred roast color, grind, and membership length — and never run out of coffee again! We'll bill your card monthly, and you can cancel or postpone delivery anytime by giving us a call!